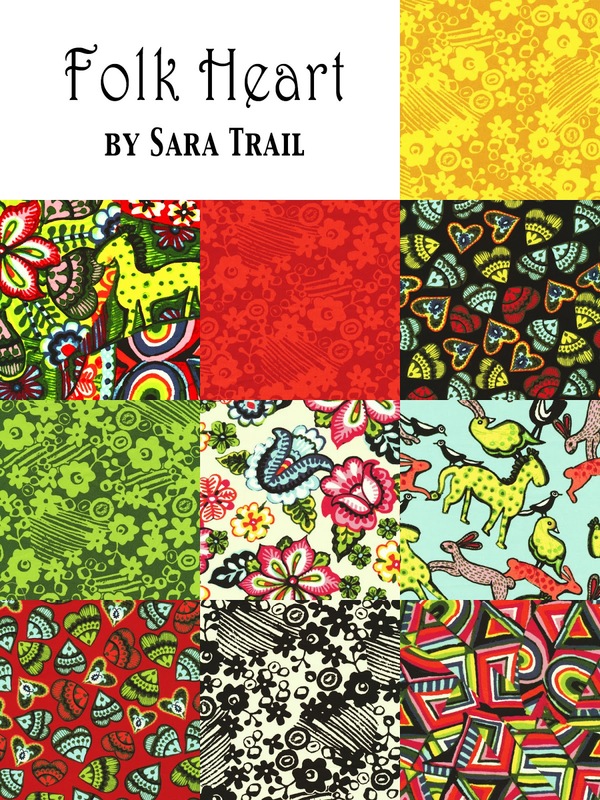 We're back with Sara Trail, talking about inspiration, the design process, and her new line, Folk Heart. Q. 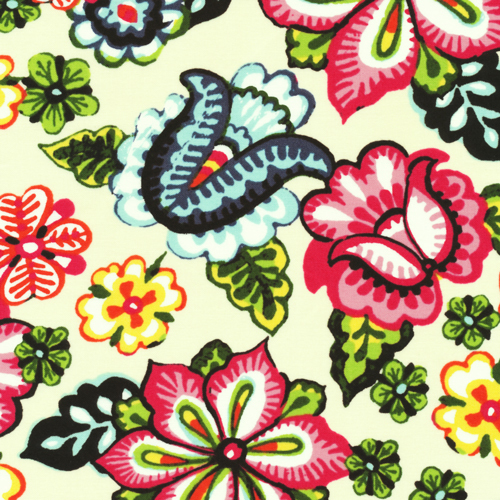 Where do you get your inspiration from for your fabric lines and patterns? Sara: I get inspiration from fashion magazines, nature, rug catalogs, Christmas cards, dreams, beautiful California public gardens and parks, antique scrapbooks, random photos I take…pretty much just anything around me. Q. Describe the fabric design process. Sara: I start the design process by leafing through my random cell phone photo prints, magazine tear-outs and colorful antique scrapbooks. I have a cool plastic Pantone color set which allows me to figure out exactly what color palette my inspiration piece is in "fabric designer's language." 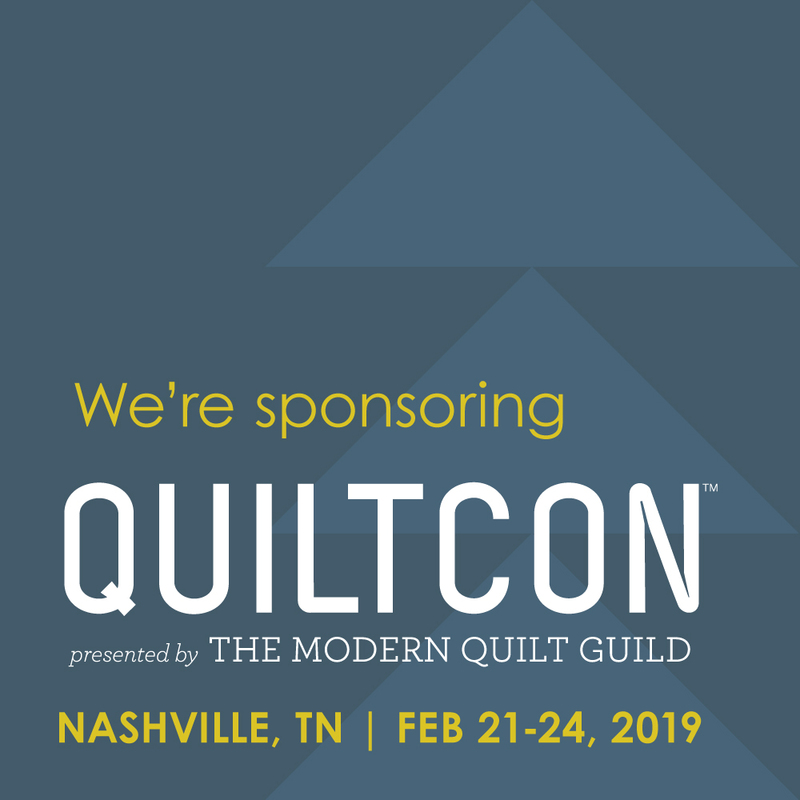 I start by making photos of my ideas, and then I work with the art department at Fabri-Quilt to settle upon a design that is appealing not only to me but most importantly the customer! Q. What was the inspiration behind Folk Heart? Sara: I wanted a folk-art type design that had a homemade, unique type of feel. 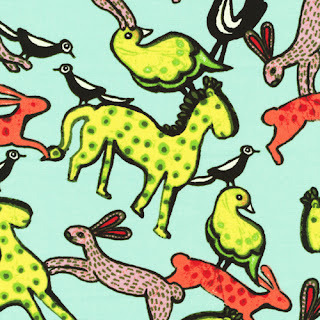 I love the artwork embedded within the theme fabrics and the animals are very cute. Q. Which print in the collection is your favorite? 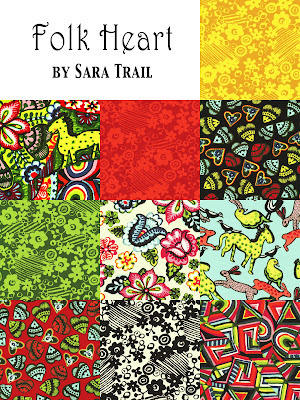 Sara: I definitely love the theme fabric, with the large scale of the animals- along with the cream flower print. Q. What do you envision this collection being used for? Sara: I could see it being used in a kitchen décor set, including place mats, curtains, and pot holders, or gifts—really cute purses, tote bags and quilts. At the Hop - Free Pattern!